Bask in the grandeur of these glorious artifacts. 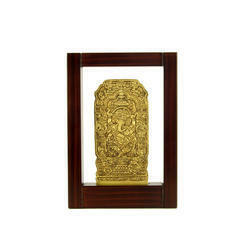 Master craftsmen with specialized skills have fashioned intricate designs and details on these brass home decor accessories. The ornate metalwork brings home a sense of the regal, resplendent in a divine beauty. Giving the perfect gift is an art. Making that present a perfect blend of elegance and precision is our expertise. We have been working closely with artisans for over four decades to bring flawless and unique gifting experience to our customers. Make every celebration special and every day a celebration - all you have to do is choose a gift from LBK's wide selection of products to show your love, care, and thoughtfulness. Festivals, birthday, anniversary, housewarming or simply a day you want to pamper someone, name any occasion and we will create a product to suit your need & specifications. So whether you are an individual or a company looking for that perfect gift that shows you care, we invite you to take this journey with us. What’s more? Each piece is hand-crafted to perfection by highly skilled artisans from the finest selection of raw-materials! So browse through our range of beautiful hand-made products and call us today to find out how you can make this gifting experience a truly special one.